Once the money grows on trees quest is completed you can grow the Simoleon Sprout, Social Point Flower and Life Point Lotus Plants! 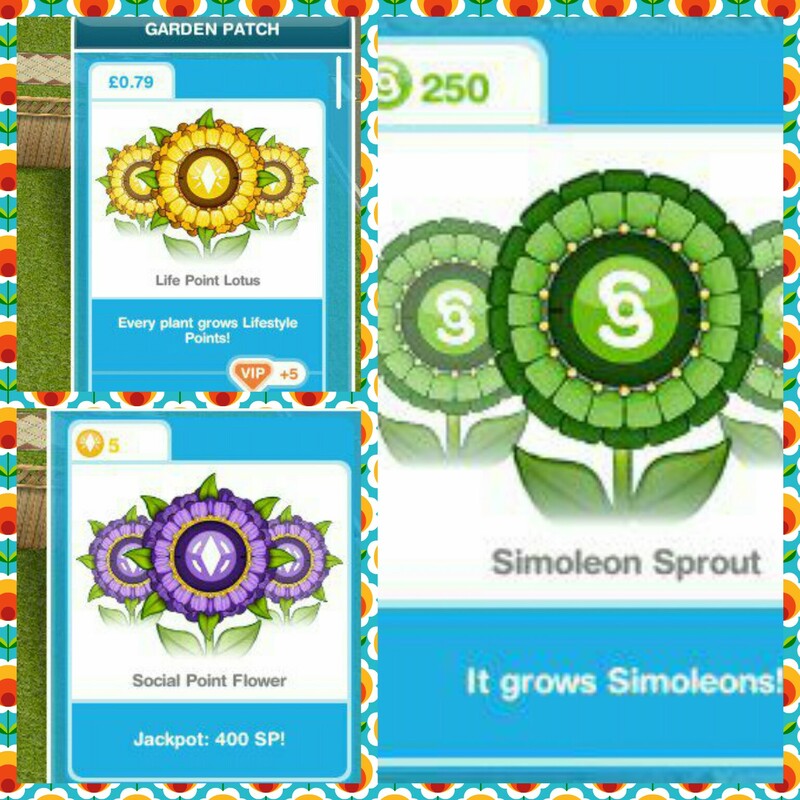 The Simoleon Sprout costs S250 to grow and gives you a simoleon money reward and you can grow it every 4 hours. The Social Point Flower costs 20LPs and gives you a SP reward and the Life Point Lotus Plants costs real money and gives you a LP reward. Can I complete this quest even though I have passed level 7? I’m on level 32. I have unlocked the simolion sprout and collect money from it etc, but it’s still a quest waiting in que so I can’t progress and build the restaurant or next tasks?! Help! try using the simoleon sprout again to see if it completes the quest. Where do you find the simoleon sprout? I clicked on the garden patch but it doesn’t appear not even locked. Are you on this quest yet? You won’t get the simoleon sprout until you reach this goal in the quest. Hi there I’m on level 10 and I only got the simoleon sprout…Can I still get the lp lotus?? It should appear at the same time, it may depend on the country you live in though to whether you will be able to get it. Also my sims sally, Nigel and Miriam are not showing any form of needyness. All of their boxes for eg. Hunger, sleep ,hygiene are all as full as they can go and they never go down I’m wondering why this is ! sounds like a good glitch to me! I have done everything on the list but plant the sprouts. I don’t have them as an option to plant. What do I do? you may need to contact EA to see if they can fix this issue for you. I don’t even have an option to buy a simolion plant!?? what do I do? are you on that part in the quest? My son will mot take a bath or go take a shower. What do I do??? HELP!!!!! do blue footprints appear? if so they can’t access the bath or shower so it will need to be moved so they can access it. But there is nothing I can do, this is a technical issue that only EA would be able to fix as they can get into your game, I cannot do that, sorry! And I went to grow the simoleon plant but that plant doesn’t even show up on my options… Please help! try restarting your device, it should appear. How do you get the money goes on trees quest actually started? I’ve been playing for weeks now and haven’t had any new quests I’m on level 26!! Please help!! Do you find the simoleon sprout to be fair? I’ve been playing for a while and I’ve only ever gotten two peppers. A few times, I almost got three peppers but one of them twitched and changed at the last moment. I think it’s rigged. Just wondering if anyone else feels the same way. Thanks! I have tried to follow the instructions to complete the “money doesn’t grow on trees” quest. However, I stil can not get the sprout to show up so I can plant it. What am I doing wrong?! I have tried 5 times already and am getting quite aggravated, because I need to have this done before j can be romantic with another sim. Please help!! are you on the goal to grow the simoleon sprout? If not you need to complete the other goals first before you will be able to do this. I would save up and either use them in timed quests when you know you aren’t going to finish without them or you can buy houses with them, its really up to you! Im already did the steps but the simoleons sprouts doesn’t appear at the garden patch so how am I going to complete this task? You need to buy a coffee machine from the kitchen section of buy mode. I’ve finished the breadwinner quest but I can’t get the next quest HELP! Are you on level 7 yet? You need to reach level 7 before you can start this quest. 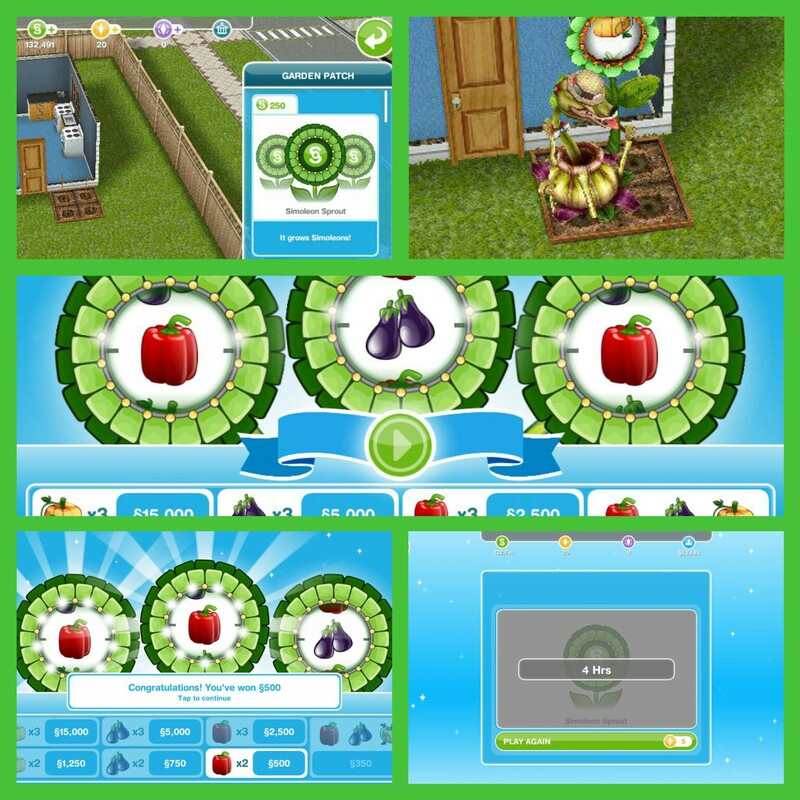 On the game SIMS FREE PLAY I have read several different ways of doing the task so I can get the sprout, do I grow carrots & watermelons do I do them in order not doing anything else in between each step. Plz help me I’ve been trying to get sprout since level 7 I’m on level10. Thank u for any help u can give me. I’ve completed the breadwinner quest, and I got prompted to begin the Simolean Sprout quest, but it’s not an active task in my que, so I can’t actually get credit for doing anything. What’s going on? Are you on level 7 yet? Can I complete this quest even though I am passed level 7? You need to reach level 7 then it will start. You have to do this one first, main quests have to be completed in order. How can I move a sim to another house??? You need to build a new house, once built, click on it and select relocate existing sim to move a sim to that house. Complete the bread winner quest first then you will be able to do this quest. There’s no option in the garden section to where I can choose to grow a simolean sprout!! 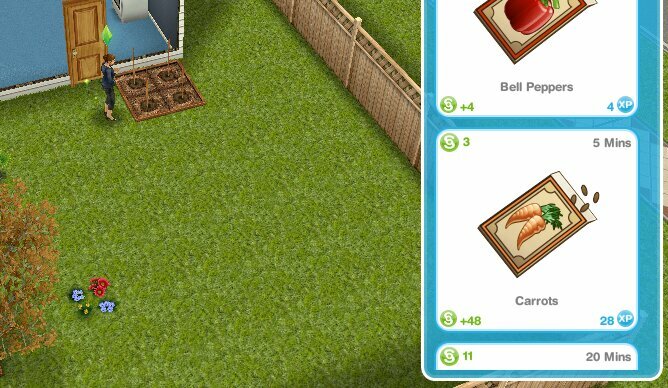 You have to use the garden patch to grow the simoleon sprout. what should i cook to get the rolling pins and the other one? I have tried everything! If you don’t have a sim at higher up levels in the cooking hobby you will not be able to find some of the items, just keep cooking cheese on toast until they level up then keep cooking cheese on toast until you find the items you need, what you cook doesn’t matter but this option only takes a minute so you can level up and find them quicker. Hi, I beg your permission to translate in to Bahasa, and share it to my SFP community. I will put all the copyright of your page. I love every single page of your blog, because it’s so helpful. All simmers around the world are helped, especially us, Indonesian simmer. but some of us aren’t good enough at English, I just help them to make them understand and enjoy their game. Uhmm, do I have to do the steps with only one sim or can I make all of sims do the job? For example, Sim no. 1 will do the gardening, Sim no. 2 will watch the documentary and Sim no. 3 will make the coffee, like that. Or should it be Sim no. 1 to do all? You can use as many sims as you want to complete a quest but you won’t be able to complete a goal until the previous goal is completed, so if couldn’t have sim 2 have a double shot of coffee before the other sim has completed the watch documentary as you will need to have the coffee again once the previous goal has been completed. So I’m tempted to buy the LP Lotus but first I was wondering if it is a one time use or if buying it unlocks it so I can use it regularly like Simoleon lotus? Thanks! You will have to pay each time you want to use it. I have all the quests up till this one completed, and have grown carrots, watched a documentary, and made a double shot coffee, but when I click my garden patch, the first option is free bell peppers, not a simoleon plant. I cant find the plant anywhere? Am I missing something? What level are you currently on? As this quest doesn’t begin until you reach level 7, once you get the pop up to begin this quest you will be able to complete those goals. I accidentally deleted the garden patch. And I can’t buy it now. Cause I can’t find it. What do I do? You can find it in the garden section of buy mode, under flowers plants and trees. I don’t have the simolean sprout, what do I do? Have you started this quest yet? If the goal hasnt popped up to tell you to complete these tasks then you cannot do them yet. Ive done all the tasks and the simoleon sprout hasnt apperierd. HELP!! Are you on this quest yet? You will get a pop up when this quest begins and it will tell you when you complete each goal. Have you completed the first main quest yet? Bread winner: https://thegirlwhogames.blog/2014/08/05/the-sims-freeplay-bread-winner-quest/ you need to complete main quests in order. I finished the baking quest and it told me that money grows on trees quest was about to stay but I didn’t. Are you on level 7 yet? You need to reach level 7 for this quest to begin. The documentary for me is 1 hour. 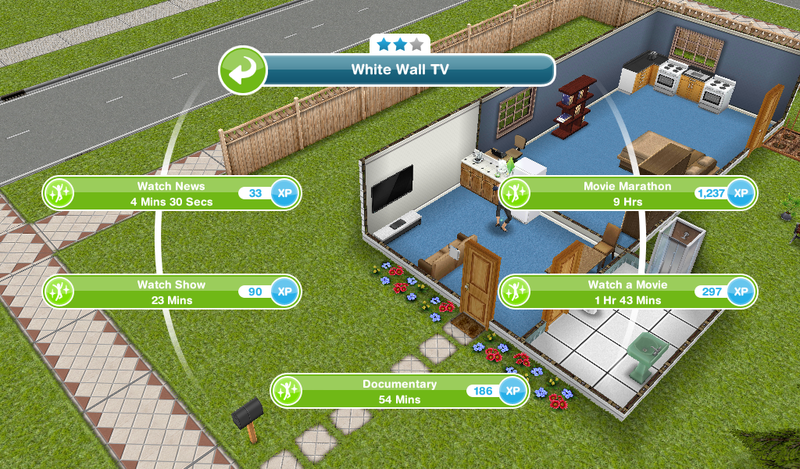 Use the tv in the first house it will only take 54 minutes, the tv in the second house takes 1 hour as it has a lower star rating. In my sim game it will not let me complete the quest. It just says that I have the quest but doesn’t tell me how to complete it. I also have all of these other “active tasks”. Whenever I complete one another comes up so it’s not like I can just finish them. I’m very confused on how to finish a quest that I don’t have the ability to start. I don’t he Sven the simoleon plant??? Have you started this quest yet? If you haven’t got the pop up to begin this yet you will not be able to use the simoleon sprout until you get the goal in this quest.